Today’s calendar image of Richard Armitage as Sir Guy of Gisborne was provided by Lady Prisca. Thank you, Lady Prisca! The above image is a promo picture from Robin Hood season 2. 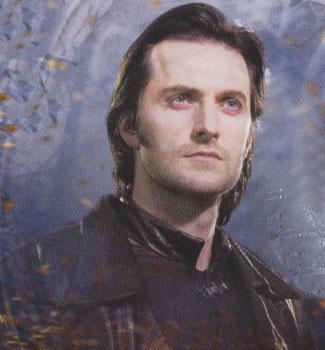 Here is your Sir Guy of Gisborne calendar updated to the 29th of December. Also, based on our discussions yesterday, I decided to create a poll. This entry was posted in Calendar, Fan Videos, Graphics, Poll, Polls, richard armitage and tagged actor, beard, calendar, fan videos, fanvideo, graphics, guy of gisborne, hobbit, lyrics, misty mountain song, richard armitage, richardarmitagenet, richardarmitagenet.com, richardarmitagenetdotcom, robin hood, the hobbit, thorin oakenshield. Bookmark the permalink. Thanks for the poll. I forgot to comment on that yesterday. Guy all the way!!!!!!!!!!!!! So far a poll for me;-). GUY is the leader of our company;-) Thanks a million for the download. It’s a keeper. It’s not entirely fair to choose when we have so little of Thorin to compare. Guy is so complex, so drop-dead gorgeous, so stirring — “want to do bad things with you” and all that. So here’s my vote, Team Leather for me. Voted! I said something about Thorin recently,but I’m a liar!! I think once Thorin is seen properly, his popularily will increase. Anyone who is interested in learning more ahead of time could read The Hobbit to find out more about Thorin Oakenshield, the Dwarf King. He is a gruff but noble character. Be still my heart. Thanks for the download and updated calendar, Bccmee. Had to vote for my Guy. What I have seen of Thorin, I love, love, love. But, Guy is special to me. I haven’t seen enough of Thorin yet to make a choice so Sir Guy it is! Thorin looks promising, though! Thank you Lady Prisca and Bccmee for the gorgeous Guy pics today. I agree I haven’t seen enough of Thorin yet to say, though I have absolutely no doubt that RA will make a complex character even more complex and interesting. I feel from the trailer that PJ is going to flesh out the character of Thorin and that’s why he cast RA knowing he would be the one to do it justice. I also have to agree with Elaine that Thorin is not a ‘bad boy” like Guy (and I like bad boys), but a tragic hero in many ways, maybe blinded by certain aspects of his personality and history. But I also see similarities between Guy and Thorin. Anyway, I can’t wait to see more and maybe then I could possibly answer the poll differently. Ooh! What a choice! We have a rich film history of Richard Armitage’s Sir Guy of Gisborne character. So based on my personal knowledge, Sir Guy would be my choice. As I mentioned, “would be”. But just at Mr. Armitage’s John Thornton portrayal in the BBC’s North & South in 2004 transformed Mr. Armitage’s career, so will his portrayal of Thorin Oakenshield in The Hobbit movies. So, based on one minute in The Hobbit movie trailer–including him singing, mind you–I voted for Richard Armitage’s portrayal of Thorin Oakenshield on faith. And just as Sir Guy was the classic tragic anti-hero of the Robin Hood series, I agree with many of you–including Musa/Fabo above–that Richard Armitage’s Thorin Oakenshield will be compelling as he helps us to understand the impact on Thorin of the tragedy that befell him, his family, and his peoples. Because though mortals–or Dwarfs–try to escape their fate, the gods (little g) won’t let them. And the gods must have their reckoning. P.S. And, of course, you know that I loved your music video! Voted for Guy of course because he was my first……chaRActer , and because he’s so deep , and complex and gorgeous and touching (and familiar because we have “lived” with him during 3 seasons , it mean about 30 hours of emotions)…and because as many have said before me , I don’t know enough about Thorin. Bccmee, Thank you I have just downloaded the video. I voted Guy, of course, but I think Thorin could become preferred character #2. Haughty, fierce and royalty. It’s my kind! I voted for Sir Guy, largely because a teaser trailer isn’t really enough to go on. Once the first Hobbit movie comes out Thorin may take the lead. 🙂 I’m trying to download the video now and can’t wait to watch it!!! The video finally finished downloading. Love it…the footage from the Lord of the Rings movies ties in really nicely, and it is nice to have the lyrics there as well! As to the poll, Bee!! You have given me an impossible choice! Naturally I love Guy after watching him for all three series but even that short teaser they gave us in the Hobbit Trailer has convinced me that Richard is going to be magnificent as Thorin. The singing alone made me melt!! I thought his speaking voice was swoon-worthy but hearing that smooth baritone gave me palpitations!! Who among us would have thought that we would fall for a centuries old dwarf from Middle Earth but that is exactly what has happened, I believe!! 😀 So I went out on a limb and voted for him!!! Thank you Bcc for your adorable video. I already download it. I voted to Guy, but I think this poll was a little unfair, because Thorin has appeared only a few minutes on the screen. So,I agree with many comments here . But , It was only a few minutes of Thorin ´s apparition to see that this character will be impacting . That Richard ´s look was enough to see how he gave himself into the character . I think that many people after seeing The Hobbit, will fall in love with Thorin/Richard . I´m already a little in love with Thorin. Thank you Lady Prisca.I adored your Guy picture! Thanks for the download, bccmee! Your fan video convinced me enough to vote for Thorin! As Gratiana said, The Hobbit could truly be a turning point in RA’s career. And as Teuchter said, “Who among us would have thought that we would fall for a centuries old dwarf from Middle Earth but that is exactly what has happened, I believe! !” It’s very difficult to understand but it is what happened to me, too!